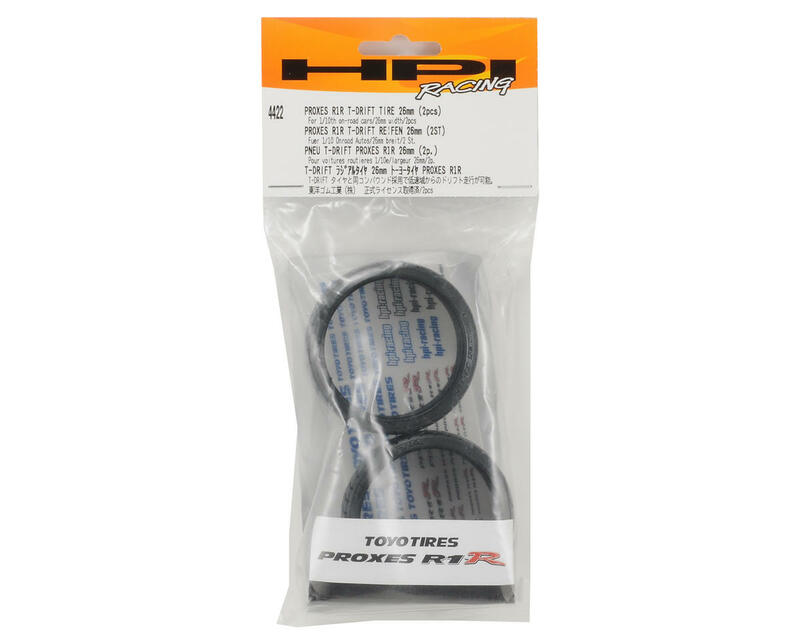 These Toyo Proxes T-Drift Tires are a special hard plastic tire with the fully licensed tread pattern from the popular Toyo Proxes R1R tire. Drifters can now switch from slicks to treaded tires to fine tune their car to track conditions. 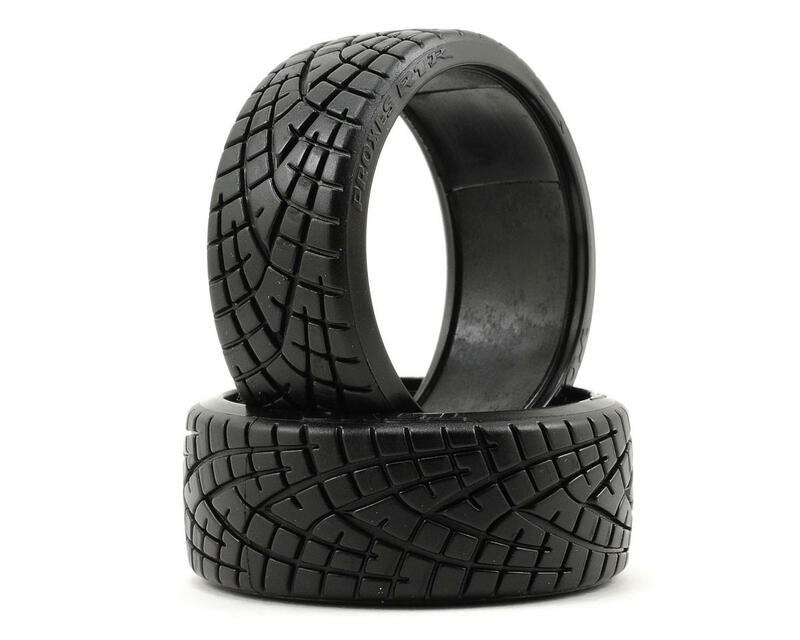 The realistic tread pattern is also a great way to show off your drift machine. The extremely hard compound delivers long life and makes it easy to break traction to get your machine sideways for maximum drift angle as you clip the apex.